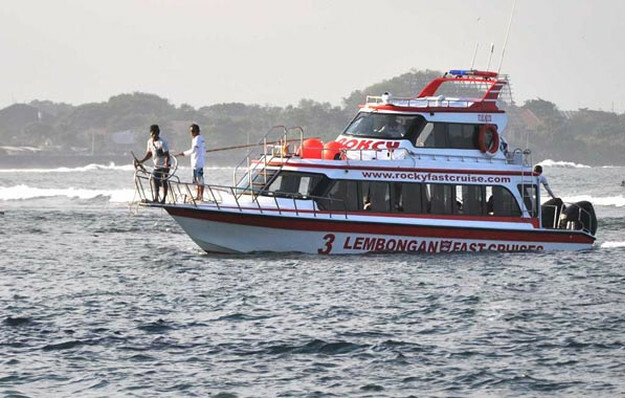 Rocky fast cruise is the smartest choice to get Nusa Lembongan, equipped with profesional crew, support with adequate technology which will give you satisfaction. Lembongan is located in southeast coast of Bali. It’s a small island that quickly becoming one of Bali’s most attractive tourism destination as a fine place to relaxing, surfing, diving and snorkeling. It has magnificent scenery with the clearest and vivid aqua blue water in color you can find. 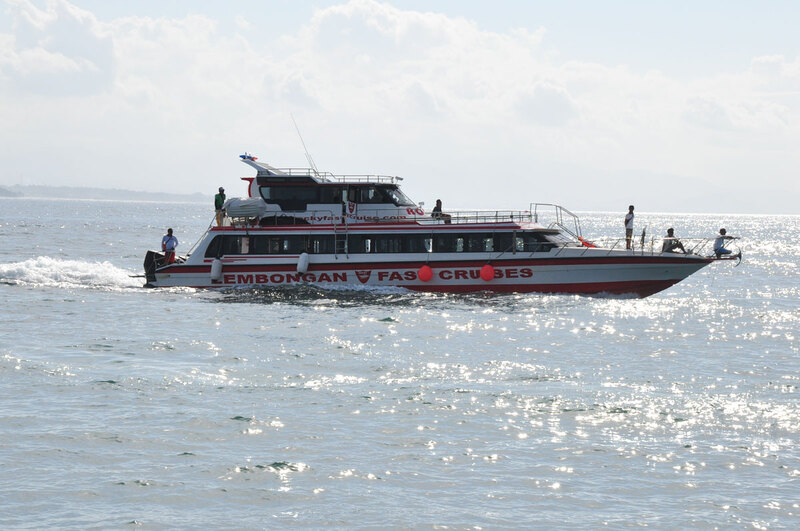 The only way to reach Lembongan from bali is by boat. The providers have several options according to budget and speed you will choose. One of the boat transfer specialistto get there is Rocky Fast Boat. 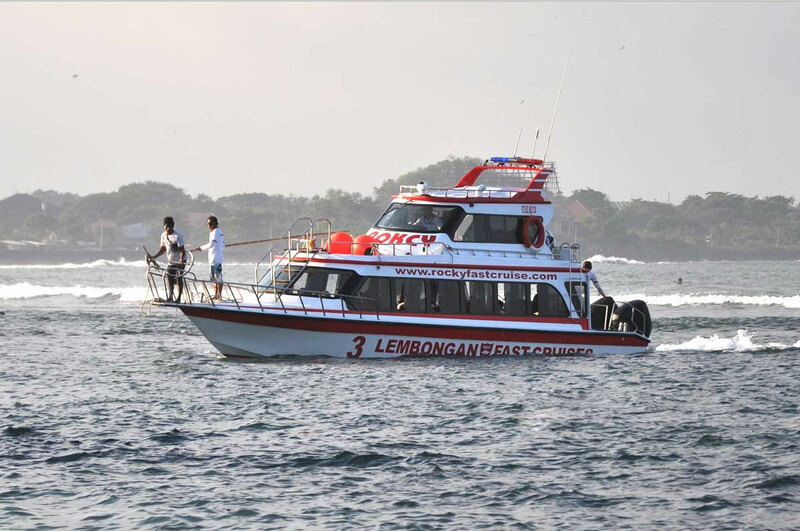 It offers daily boat transfers both to Lembongan from Bali and to bali from Lembongan. Rocky Fast Cruise also provides pick up service in 1 to 2 hours before departure time of the boats, depends on your hotel location. For Sanur area, it takes 35 minutes before departure. Kuta, Seminyak, Tanjung Benoa and Nusa Dua usually takes 1.5 hours pick up time before departure and it takes 2 hours pick up time from Ubud, Canggu and Uluwatu area. The shuttle service cost usually has included in the price. But, you will get extra charge at IDR 250.000/car for maximum 4 person if you stay outside the shuttle area. Those fast boats is modern fast boats with new marine technology and full international safety equipments, insurance cover and friendly staff by the 5 years experience marine transport service. Rocky Fast Cruise also provides some service packages by fast boats. The packages are provided with various facilities in IDR 680.000 – IDR 2.600.000 and much fun additional activities such as scuba diving, snorkeling, pontoon swimming, manta ray swimming, fishing, mangrove touring, have fun by banana boat, glass bottom boat, jet sky and others. Follow the step of the online booking in this page, do payment, and you will get your e-ticket. Print the e-ticket and bring to check in. 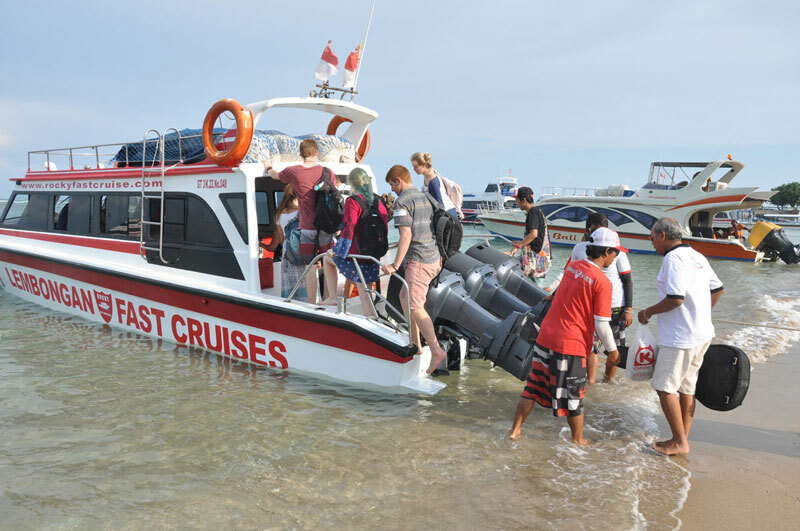 the Rocky Fast Cruise is located in Hangtuah Street 41, Sanur, Bali. For the easiest way to reach the rocky fast cruise office, please use the free shuttle, around the pick up area. You are suggested to make booking in 2 days prior to your departure time.